Guest blog: Ed Mayo is secretary general of Co-operatives UK, the national apex association for co-operative and mutual enterprise in the United Kingdom, and vice president of Cooperatives Europe, the European region of the International Co-operative Alliance. Co-operatives could be the business model for a sustainable world, if we now have the ambition to imagine how not just enterprises but whole economies could operate on a co-operative basis. The co-operative model can be found to operate around the world, with similarities and with differences over time, adapting to the context and the culture in which it is taken up. One characteristic, common but not universal, is the visionary nature of co-operatives, particularly when founded: they both serve practical action and seek to expand the scope for different ways of acting. 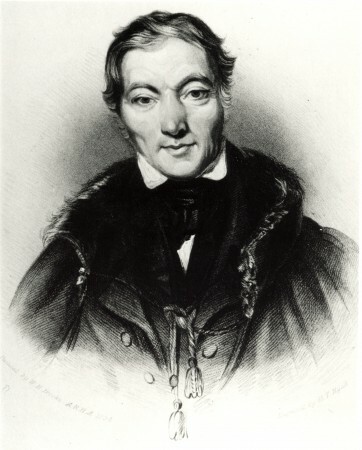 Early co-operative pioneers such as Robert Owen, who started work at New Lanark, Scotland over 200 years ago, saw in co-operation the opportunity to restore a balance between people, that had been lost in the great disruptions and inequalities of industrialisation. It is not for nothing that in many countries, co-operatives are called ‘societies’, in that by re-ordering their operations on principles of partnership and equality, they claim that society as a whole can also be organised on the same principles. One legacy of this tradition is that there is an agreed code of business principles and values that is intended to connect and inform the behaviour of co-operative enterprises around the world. They are built into international guidelines and, in many countries, into national law. These are the co-operative and ethical values and seven co-operative principles set out by the International Co-operative Alliance in its Statement of Co-operative Identity. The articulation of the values and principles was in itself a fascinating example of deliberation within a movement that is both visionary and practical. The list of values and principles emerged from an extensive global dialogue, involving consideration of values at around 10,000 meetings in different settings across the world. Sven Åke Böök reported on these in Tokyo in 1992 and they were debated by the representative Congress of the International Co-operative Alliance. Perhaps not surprisingly, the findings were too complex to be able to digest, so the mandate was given to a working group led by Canada’s Professor Ian MacPherson to develop a distilled version, of principles and values, that could apply worldwide. The Statement of Co-operative Identity was agreed in Manchester in 1995. As codified by the International Co-operative Alliance, there are 10 values in all – six co-operative values and four ethical values. The co-operative values – self-help, self-responsibility, democracy, equality, equity, solidarity – describe the design of the business. The ethical values – honesty, openness, social responsibility, caring for others – describe the operation of the business. These are not prescriptive, but guides for action – seen as open-ended, therefore allowing for a deepening of practice over time. There are many governmental, business and non-profit groups who endorse the SDGs as the big challenge of our time. The principal opportunity for co-operatives to contribute significantly goes beyond being part of this welcome chorus, it is in exploring and demonstrating how the goals are achieved. There are two practical ways therefore in which co-operatives can do this – through business development and through policy action. Co-operatives are businesses and working on the SDGs is not to distract from our commercial success but to focus on it. This is a potential advantage that co-operatives can have over the field of corporate social responsibility, which tends to be viewed as a cost and an add-on rather than integral to investor-owned business. So, at one level, the co-operative movement can best contribute to the SDGs by being more co-operative – in the sense of performing against all of its seven core principles and underlying values. Here is an opportunity for co-operatives to work together at a global level. Out of Canada, for example, the Sobey School of Business at Saint Mary’s University, Halifax, has run two international symposia on performance metrics and accounting for co-operatives. Inevitably, there is a diversity of context to different co-operatives that mean that organisation performance is about choosing from a menu rather than promoting a single set of metrics. But developing that menu, so that there is a rich understanding of the value that co-operatives can create, and the opportunity to benchmark where possible, is something that can be relevant for all or any of the 2.9m estimated co-operatives worldwide. In Japan, the Japanese Consumers’ Co-operative Union has pledged to reduce total CO2 emissions by 40% compared to the level in 2013 by 2030, to ensure thorough energy conservation measures, and to tackle the development of renewable energy supply. In Ghana, the Easy Investment Co-op Credit Union, has pledged to generate employment in Ghana through co-operatives. In the UK, the Co-operative Group has committed to grow its sales of Fairtrade produce, sourced largely from producer co-operatives in developing countries. In the Netherlands, Rabobank’s approach to sustainability is now fully integrated into its vision, strategy, business and reporting, including the SDGs, including a specific core focus on ‘banking for food’. In Switzerland, Coop Schweiz is a retail consumer co-operative with a long history rooted in social, environmental and sustainability action. The enterprise integrated environmental protection into its statutes (rules and governing documents) in 1973 and now has 356 actions from across all business areas on sustainability under the theme of ‘Actions not words‘. In Canada, The Co-operators has integrated sustainable development into its core purpose, with a vision for the co-op that aspires to be valued by Canadians as: a champion of their prosperity and peace of mind: a leader in the financial services industry, distinct in its co-operative character, and a catalyst for a sustainable society. In Finland, the SOK Group has developed a plan of action relating to the SDGs – 100 Acts of Responsibility – that is integrated with a clear and compelling purpose of improving the country as a whole. The SDGs also call for entirely new business areas to emerge. On one estimate, the SDGs open up an economic prize worldwide of $1tn by 2030, potentially two or three times more. As one example, the market for sustainable food using new technology across smallholder farms is estimated to grow by $105bn as part of this. ‘Ecosystem services’ in forestry are estimated to grow by $365bn. The opportunities here are around co-operative innovation. Co-operatives, both existing and new, are well placed to be key actors in these new business areas. 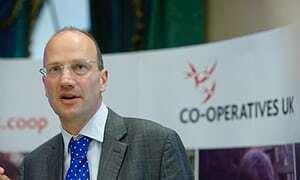 Co-operatives are trusted not to ‘game the system’. Co-operatives can work at the grassroots in a way conventional businesses, especially multinationals, cannot. Farming technology is a good example, with a key role for data in improving production but also supply chain assurance. This is a natural fit for agricultural co-operatives, with co-operative leaders in some countries showing the way. But to spread the model takes networking and support. In poorer countries, in an African context for example, alongside self-help, there may be a need to pool and champion resources for supporting co-operative business development like this, drawing on success stories in the region. The policy agenda on SDGs is also a key opportunity for the co-operative sector. The relevance of co-operatives to the SDGs can be a policy lever for action. In 2018, for example, co-operatives in Italy across different traditions came together in the national election to call on all political parties to take action to promote co-operative development across a range of sectors in line with the SDGs. Whatever government is in power though, every UN member state already has commitments under the framework of the SDGs and related conventions. Countries will produce national reports on progress, an opportunity to showcase co-operative action. Globally, there is an active framework of governance, where the SDGs are reviewed by the High-Level Political Forum and their finances by the Financing for Development Forum. Some connecting elements, such as COP-21, are legally binding treaties. Each country must produce a Low Emission Development Strategy by 2020. United Nations General Assembly in September 2018. For example, there will be a resolution on sustainable finance that goes through the General Assembly covering recommendations from the 2017 Brookings Report. This addresses rules for Stock Exchanges and for Credit Rating Agencies. The key discussions on this will be held by the G77 in August. It could be of importance to win recognition for the co-operative model, as there are reports that credit rating agencies across the world tend to discriminate against member-owned businesses in their methodologies. building the capacity of co-operatives to participate in sustainable development processes at the national, regional and international levels. Resource decoupling – using less land, water, energy and materials to maintain economic activity. Impact decoupling – using resources wisely over their lifetime to reduce environmental loss. While the discussion on SDGs can become quite technocratic, the implications for the co-operative sector are quite simple. We need the confidence to assert the relevance of our model of business as critical to all our futures and we need the competence to be successful as a sector on the basis of our principles. ii For an excellent account of the changes, see Dodds, F. & Donoghue, D. Roesch, J. (2016) Negotiating the Sustainable Development Goals, by Felix Dodds Jimena Leiva Roesch and Ambassador David Donoghue. iii See https://ica.coop/en/media/news/co-operative-enterprises-are-in-a-unique-position-to-help-to-promote-the-2030-agenda, accessed March 19 2018.
iv Eid, M., & Martínez-Carrasco Pleite, F. (2014). The International Year of Cooperatives and the 2020 Vision, Euricse Working Papers, 71.
v MacPherson, I. (1996). Co-operative Principles for the 21st Century. International Co-operative Alliance. vi See https://www.eca.europa.eu/en/Pages/DocItem.aspx?did=45153, accessed 22 March 2018.
vii Personal correspondence, May 2018.